Debates are rare chances to see candidates outside their bubbles. 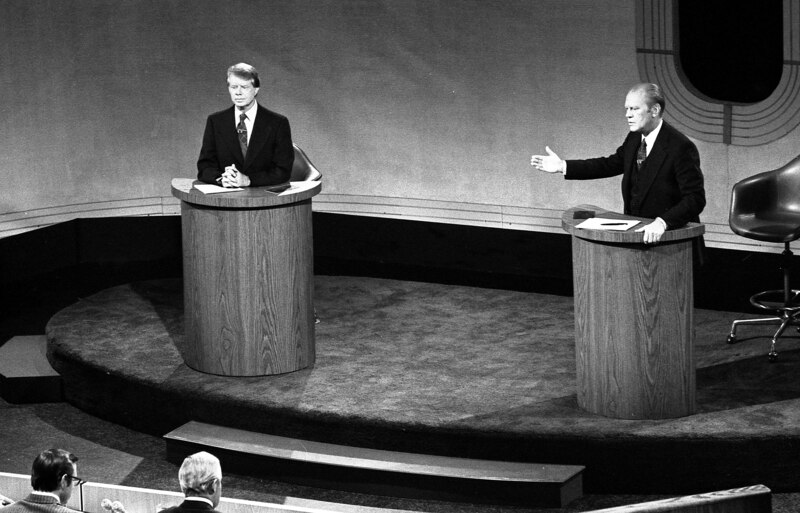 The first of three presidential debates this fall is scheduled for Sept. 26, which is 40 years and three days after Jimmy Carter and Gerald Ford established a tradition that no major party candidate has since dared to skip. The debates are more important than ever, as political candidates increasingly avoid tough questions from journalists. As of the end of August, Hillary Clinton has not held a single formal press conference this year. Chats with the genial hosts of late-night comedy programs are hardly a substitute. Mrs. Clinton’s aversion to unplanned questions does not inspire confidence that she would highly value the public’s right to know what its government is doing. As for Donald J. Trump, he has proven that talking off the top of one’s head is not a reassuring habit in a national leader. Mr. Trump likes to give press conferences (17 this year through August, according to his campaign), but he is shockingly unprepared for them, making what FactCheck.com has called “false and misleading statements.” In one instance he criticized Democratic vice-presidential nominee Tim Kaine’s record as governor of New Jersey. Mr. Kaine was the governor of Virginia. The presidential debates are about the only occasions left in which the major party nominees face sustained questioning about how they would govern. Sometimes they include frivolous topics or attempts at “gotcha” moments, but it is not unreasonable to expect someone who proposes to lead the free world to handle such situations diplomatically. This year especially, we are anxious to find out whether the candidates can engage in the give-and-take with journalists that is essential in a functioning democracy. This article also appeared in print, under the headline "Meet the Press," in the September 19, 2016 issue.